Once upon a time, thin eyebrows were actually in fashion but today, not so much. Thanks to celebrities like Cara Delevingne, thick, shaped brows are the latest must-have. So what do you do if you’ve made the mistake of over plucking your eyebrows? Luckily for you, we’ve shared our top tips on how to restore them below. 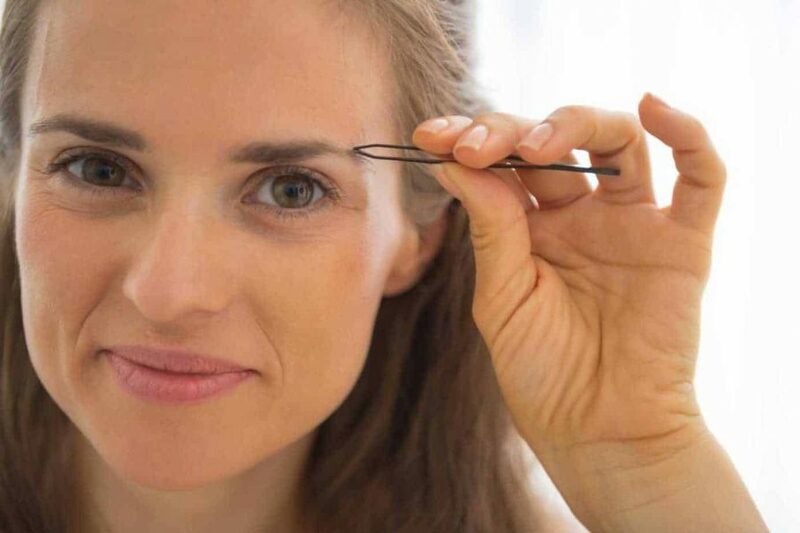 If you’ve made a mistake when plucking your eyebrows, you should expect it to take around three to four weeks before the hairs grow back fully. Those that have seriously over plucked and ended up with very thin brows will probably have to wait a while longer – possibly up to three months, before their eyebrows return to their natural state. Our advice is to be patient. Stop tweezing them and give them a chance to grow back. Just like when trying to grow your hair, it takes a healthy diet to promote good brow hair growth too. Make sure you are getting plenty of vitamins in your diet, including Vitamin A, B6, C and E, which are all essential for promoting healthy hair growth. Eating foods like carrots, leafy green vegetables, fruits and fortified rice as part of a balanced diet, will ensure you get the vitamins and nutrients you need to grow back those brows! In addition to getting plenty of vitamins, you need to make sure you’re keeping your body hydrated. Drinking plenty of water will keep your hair hydrated and healthy, helping it to grow back faster. There are various different serums out there that claim to help your eyebrows grow back fast. Having not tried them, we can’t really comment on whether they work or not but if you don’t mind spending a little money; they may be worth a try! Whilst you’re waiting for your eyebrows to grow back properly, you can always use a pencil, gel or powder to fill in the gaps. We recommend choosing a shade that is a little bit lighter than your brows, this will prevent you going overboard and ending up with unnatural looking brows. With a light hand, create small strokes to fill in your brows and give them a fuller look. There are a number of great eyebrow products available from both high street and high-end makeup brands. You will find some products easier to work with than others – it’s all about finding what’s right for you. The key is to start subtle and build up the brow shape. Unfortunately for some, their over plucked eyebrows never return to their original state. The good news is that you can now have eyebrow replacement surgery to restore any missing hairs. This involves taking between 250 and 400 donor hairs from somewhere else on the body (like behind the ears) and implanting them on the eyebrow area. This is done with tiny needles to ensure there is no scarring. The end result is natural, fuller eyebrows that look healthy and help to create a more youthful appearance. Eyebrow restoration is a very simple process, so if you have over plucked your eyebrows and are struggling to get them back to their original state, it’s definitely worth considering. The Wimpole Clinic has years of experience carrying out hair transplants on the head, eyebrows and beard area. If you are interested in finding out more about eyebrow transplants, we suggest having a free, no obligation consultation with one of our specialist. Simply fill out the form on our eyebrow transplant page or contact the clinic on 020 7935 1861 to book an appointment.